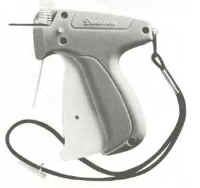 We stock both standard and fine tagging guns and regular and fine filament tails for use with these guns. 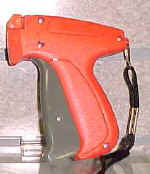 The standard tagging gun is designed for long life and trouble free performance. These tagging guns offer fast, jam-resistant operation for lower tagging costs. The tails used with the tagging guns shown here must be cut for removal which nearly eliminates the chances of tags being switched. 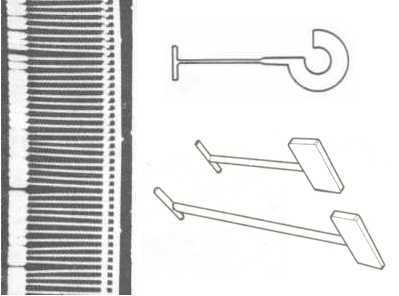 The large tab end is reinforced making it impossible for potential "tag-switchers" to remove the price tag without breaking the fastener.